We're grateful that you're here, and for the path that brought you. Many of you aren't new to tax sales or investor training. We tend to attract investors who have already been disappointed with expensive seminar programs and shady sales tactics. Our experience with tax liens and deeds may have begun 20 years ago, but we've been through the same process that investors experience today. Understanding the needs of investors is just part of what makes us different. Something else that separates us from others is that we understand how the seminar and training industry works, and we denounce them for the scam they perpetuate. Starting in January of 2019, the TSS membership monthly fee will be increasing. Join today for only $29.95 a month before the prices go up! TSS is going through some exciting changes in 2019. Some of the coming changes include a brand new website & list service, new workshops and events, and new Coaching packages. TSS will soon be implementing a a tiered membership program with training modules. The Membership Program will continue to include Auction Lists and Training. Membership dues for both auction lists, and training will probably increase to more than $70 a month for new members. Members who are already paying $29.95 per month will be grandfathered into the new program for no additional cost. Save money by joining the Membership Program now before the prices go up. Click on the link below to register for your account. Membership is just $29.95 per month. The Ultimate Tax Sale Study Course training guides cover step by step how to get started with Tax Sale Investing. The 5 Training Manuals can be downloaded from the Members Course Library. These 5 Program Guides have over 750 pages of Valuable Tax Sale Information and Training. This will be the first thing you read before investing. Ready to get started? The Course Library is the place to begin. In addition to our 750-page Tax Sale Investor Course and 375-page Real Estate Course, we have other training materials available as well. You can spend hours in the Members Course Library. You can attend Live Training webinars every Week with Stephen and Shade. The webinars cover a variety of topics which often come directly from the questions members have. Attendees are encouraged to ask questions. The Training webinars are always recorded, and available for Playback on the website. Find out what Auctions are coming up this month and the next. You can also download an unlimited number of Tax Sale Lists as part of your Membership. The Auction Calendar give Members access to the latest tax lien, deed and redemption auction dates and lists. Members will have access to our entire Database of OTC Tax Lien, Deed and Redemption deed lists. Our OTC Database contains over 100,000 Tax Liens and Over 50,000 Tax Deeds available directly from the county. We constantly update the OTC database with the freshest lists. Missed the weekly webinar? Not a problem, we have them recorded in the Members Video Library. Each week we will be adding new training videos. We have hours and hours of tax sale training videos available. Ever wanted to find out all the Tax Sales being conducted Online? We keep you up to date with all the Latest Online Auction News and Links. The Tax Sale Online Auction page is the most current list of online tax sales available. We are always updating the links, and add any new counties adding online sales. The Investor Profile System helps our Members pick an investment strategy to get begin with. There is 8 Investor Profile to choose from, once Members have gone through the profiles they can pick a strategy to get started with. When investing in tax liens and tax deeds its important to have a good understanding or Real Estate. That's why our 3 Manual 375 page Real Estate investing course is included in the Membership. Once you have registered you can download these great training guides. Once you've registered for membership, we'll schedule a time for Shade or Stephen to personally call and welcome you to the program. To make the most of that time, you'll want to fill out the Investor Questionaire on TaxSaleSupport.com. That information will help us determine what the right Investment Strategy looks like for you. During the Strategy Call, Shade or Stephen will personally go over your Investor Profile with you. Tax Sale Overages are excess proceeds bid up from the minimum at a tax deed sale. The excess money (Overages) are owed to the original property owner. While getting auction list we also get Overage Lists. The Forms and Links page has county contact scripts, forms and links to investor services. Need to get Quiet Title? Need to contact the county? Get the Forms and website Links you need to be successful. If you are interested in Tax Deeds and Tax Lien Investor Training, we Guarantee you wont find a better value. Look online, and you'll quickly see our Membership is the best value, period. The cost is about $.98 a day. You can cancel at any time, or put your account on hold if you need to. Your name and email will never be sold, or used by a third party. You'll also never be told to purchase more training than you need, or can afford. Our intregrity means everything to us. The training recommendations we make are based on your individual circumstances. Our basic membership package is all many members need to start investing in the First 30 Days. Join Before 12/27/18 for just $29.95 per month. Click on the "Subscribe" button below to become a member. You can subscribe with Paypal, or any other major credit card (Visa, Mastercard, American Express) CLICK HERE or on the Subscribe button above. Using PayPal you will have complete access to your account and can cancel at anytime. Save money by purchasing a One Year Membership! One Year Membership's can be purchased for just $299. 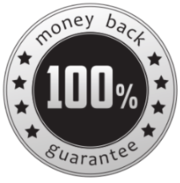 This includes our 30-Day Money Back Guarantee. Signing up for the One Year Membership brings your cost down to just $24 a month. Use the link below to get yours today! Join our Membership program TODAY while opening are still available! We're a small operation that chooses quality over quantity. Our small size limits the number of members we can work with. When our membership program is full, we're forced to halt enrollment for new members. When this occurs, the signup links are taken down until we have membership openings again. If the signup links are not available, check back every few days to check for openings. 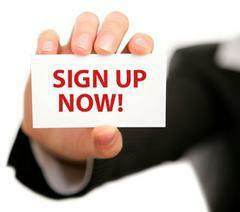 Once you've registered for Membership, we'll create a Username and Password for your membership and email it to you. We'll also send you a link to set up your Strategy Call. You should also begin receiving an invitation to attend weekly training webinar held every Wednesday evening. TaxSaleSupport.com is a Educational program, we do not offer legal or financial advice. The Program and Training Books included on this website are Owned by Tax Sale Support LLC. And are Copy-written and the Intellectual Property of Stephen and Shade from TaxSaleSupport.com. The PDF ebooks and training provided are for Student Use only, and can not be resold or copied for other uses. Also the Auction Lists are for student use only as well. In addition TaxSaleSupport.com offers Member Tools where investors can speak and work with other Members. This is a rare thing in the Training Industry, so because of that, our Members are not allowed to solicit other Members. In addition with our Member Tools like Live Chat and the Members Forum, we ask our Members to be respectful of other Members. Any Member found soliciting or disrespecting another Member will be refunded for the remaining days left in the month, and blocked from Membership. We hate to write this Legal Disclaimer, but in the world we live in its important to be safe. We look forward to working with you on TaxSaleSupport.com.